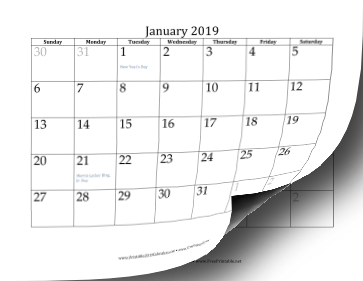 This printable 2019 calendar presents each month on a full page. Dates in adjacent months are in gray. Free to download and print.